Exon 1 and approx. 1.5 kb of sequence upstream of exon 1 (promoter region) have been flanked by loxP sites (size of loxP-flanked region: 3.2 kb). 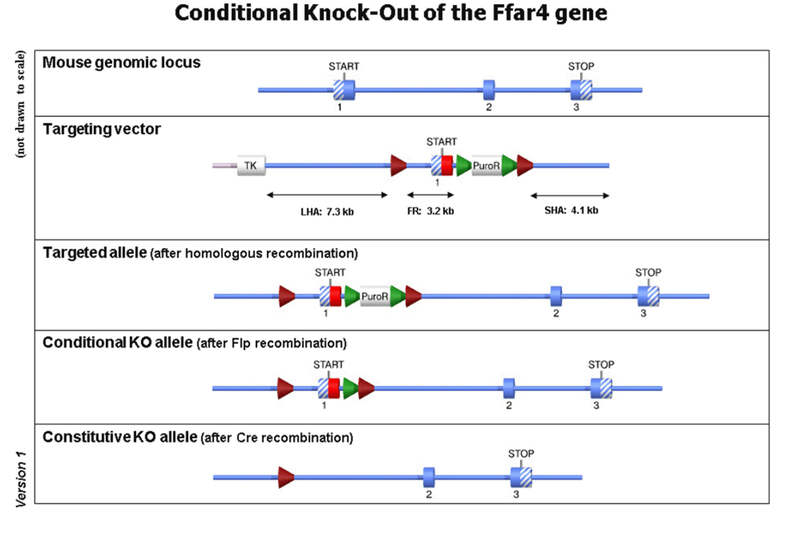 Deletion of exon 1 and proximal promoter should result in loss of function of the Ffar4 gene, by preventing transcription of the Ffar4 mRNA and by deleting the transmembrane domains 1 to 4.